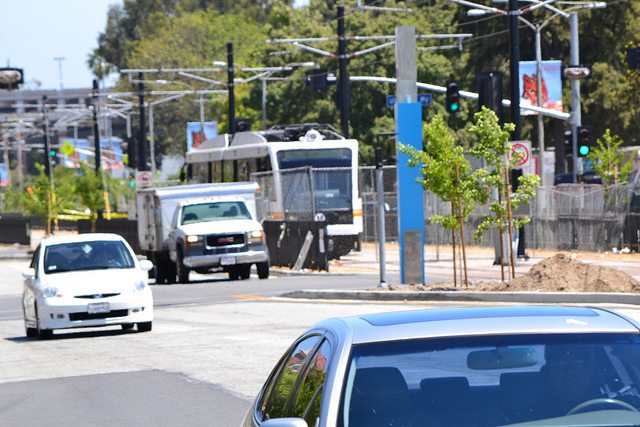 An Expo Line train near the Vermont Avenue station on a recent day. Photo by Expo Line Construction Authority. The Expo Line will be testing trains, traffic signals and train control systems this week between Vermont Avenue and Crenshaw Boulevard from about 8 a.m. to 5 p.m. each day. For the complete testing notice each weekday, click here [pdf]. I hope the testing they do now can be in lieu of some of the testing they will still need to do in the future when the line gets closer to completion, rather than in addition to it.